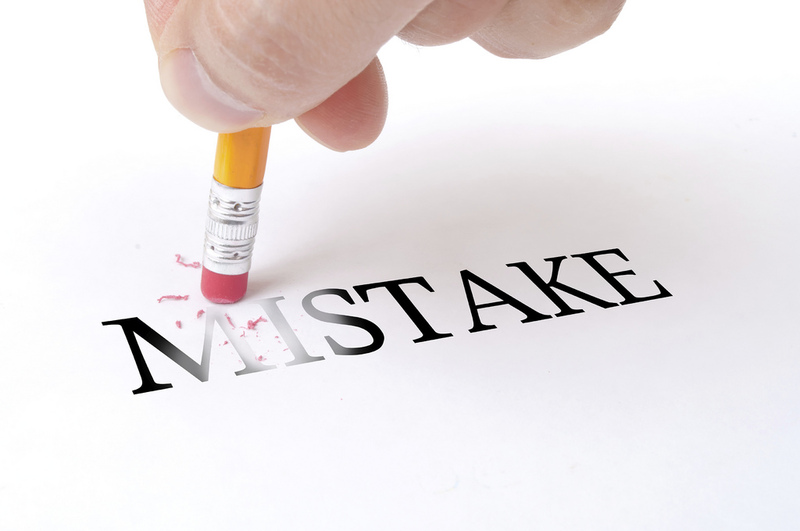 It’s hard to avoid certain mistakes, especially when you face a situation for the first time. In fact, many of the following mistakes are hard to avoid even if you’re an old hand. Of course, these are not the only mistakes CEOs make, but they sure are common enough. Take the following self assessment: give yourself ten points for each of these entrepreneurial blunders you are in the process of making. Deduct five points for those you have narrowly avoided. Your score, of course, will be kept confidential, but do seek help. Fast! If more than 50 percent of your revenues come from any one customer you may be headed for a meltdown. While it both is easier and more profitable to deal with a small number of big customers, you become quite vulnerable when one of them contributes the lion’s share of your cash flow. You tend to make silly concessions to keep their business. You make special investments to handle their special requirements. And you are so busy servicing that one big account that you fail to develop additional customers and revenue streams. Then suddenly, for one reason or another, that customer goes away and your business borders on collapse. Use that burgeoning account as both a cause for celebration and a danger signal. Always look for new business. And always seek to diversify your revenue sources. You and your team have a great idea. A brilliant idea. You spend months, even years, implementing that idea. When you finally bring it to market, no one is interested. Unfortunately you were so in love with your idea you never took the time to find out if anyone else cared enough to pay money for it. You have built the classic better mousetrap. Do not be a product searching for a market. Do the “market research” up front. Test the idea. Talk to potential customers, at least a dozen of them. Find out if anyone wants to buy it. Do this before anything else. If enough people say “yes” go ahead and build it. Better yet, sell the product at pre-release prices. Fund it in advance. If you don’t get a good response, go on to the next idea. Suppose you are the world’s greatest salesman, but you need an operations guy to run things back at the office. Or you are a technical genius, but you need someone to find the customers. Or maybe you and a friend start the company together. In each case, you and your new partner split the company 50/50. That seems fine and fair right now, but as your personal and professional interests diverge, it is a sure recipe for disaster. Either party’s veto power can stall the growth and development of your company, and neither holds enough votes to change the situation. Almost as bad is ownership split evenly among a larger number of partners, or worse, friends. Everyone has an equal vote and decisions are made by consensus. Or, worse still, unanimously. Yikes! No one has the final say, every little decision becomes a debate, and things bog down quickly. To paraphrase Harry Truman, the buck has to stop somewhere. Someone has to be in charge. Make that person CEO and give them the largest ownership stake, even if it’s only a little more. 51/49 works much better than 50/50. If you and your partner must have total equality, give a one percent share to an outside advisor who becomes your tie-breaker. Some entrepreneurs think they can be the low price player in their market and make huge profits on the volume. Would you work for low wages? Why do you want to sell at low prices? Remember, gross margins pay for things like marketing and product development (and great vacation trips.) Remember, low margins = no profits = no future. So the grosser the better. Set your prices as high as your market will bear. Even if you can sell more units and generate greater dollar volume at the lower price (which is not always the case) you may not be better off. Make sure you do all the math before you decide on a low price strategy. Figure all your incremental costs. Figure in the extra stress as well. For service companies, low price is almost never a good idea. How do you decide how high? Raise prices. Then raise them again. When customers or clients stop buying, you’ve gone too far. Check your business assumptions. The norm is optimistic sales projections, too-short product development timeframes, and unrealistically low expense forecasts. And don’t forget weak competitors. Regardless of the cause, many businesses are simply undercapitalized. Even mature companies often do not have the cash reserves to weather a downturn. Be conservative in all your projections. Make sure you have at least as much capital as you need to make it through the sales cycle, or until the next planned round of funding. Or lower your burn rate so that you do. If yours is like most companies, you have neither the time nor the people to pursue every interesting opportunity. But many entrepreneurs - hungry for cash and thinking more is always better - feel the need to seize every piece of business dangled in front of them, instead of focusing on their core product, service, market, distribution channel. Spreading yourself too thin results in sub-par performance. Concentrating your attention in a limited area leads to better-than-average results, almost always surpassing the profits generated from diversification. Al Reis, of Positioning fame, wrote a book that covers just this subject. It’s called Focus. There are so many good ideas in the world, your job is to pick only the ones which provide superior returns in your focus area. Don’t spread yourself thin. Get known in your niche for the thing you do best, and do that exceedingly well. Many a startup dies an untimely death from excessive overhead. Keep your digs humble and your furniture cheap. Your management team should earn the bulk of their compensation when the profits roll in, not before. The best entrepreneurs know how to stretch their cash and use it for key business-building processes like product development, sales and marketing. Skip that fancy phone system unless it really saves time and helps make more sales. Spend all the money really necessary to achieve your objectives. Ask the question, will there be a sufficient return on this expenditure? Everything else is overhead. This disease is often found in engineers who won’t release products until they are absolutely perfect. Remember the 80/20 rule? Following this rule to its logical conclusion, finishing the last 20 percent of the last 20 percent could cost you more than you spent on the rest of the project. When it comes to product development, Zeno’s paradox rules. Perfection is unattainable and very costly at that. Plus, while you getting it right, the market is changing right out from under you. On top of that, your customers put off purchasing your existing products waiting for the next new thing to roll out your doors. The antidote? Focus on creating a market-beating product within the allotted time. Set a deadline and build a product development plan to match. Know when you have to stop development to make a delivery date. When your time’s up, it’s up. Release your product. Can you articulate the return which comes from purchasing your product or service? How much additional business will it generate for your customer? How much money will they save? What? You say it’s too hard to quantify? There are too many intangibles? If it’s too difficult for you to figure, what do you expect your prospect to do? Do the analysis. Talk to your customers, create case studies. Come up with ways to quantify the benefits. If you can’t justify the purchase, don’t expect your customer will. If you can demonstrate the great return on investment your product provides, sales are a slam dunk. Of all the mistakes, this might be the biggest. At some point you realize the awful truth: you have made a mistake. Admit it quick. Redress the situation. If not, that mistake will get bigger, and bigger, and… Sometimes this is hard, but, believe me, bankruptcy is harder. Assume your costs are sunk. Your money is lost. There is good news: your basis is zero. From this perspective, would you invest fresh money in this idea? If the answer is no, walk away. Change course. Whatever. But do not throw any more good money after bad. OK, everybody makes mistakes. Just try to catch them quickly, before they kill your company.